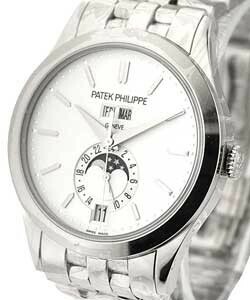 This watch is also known as: 5396G-001 , 5396 , 5396G(or5396G-001) . 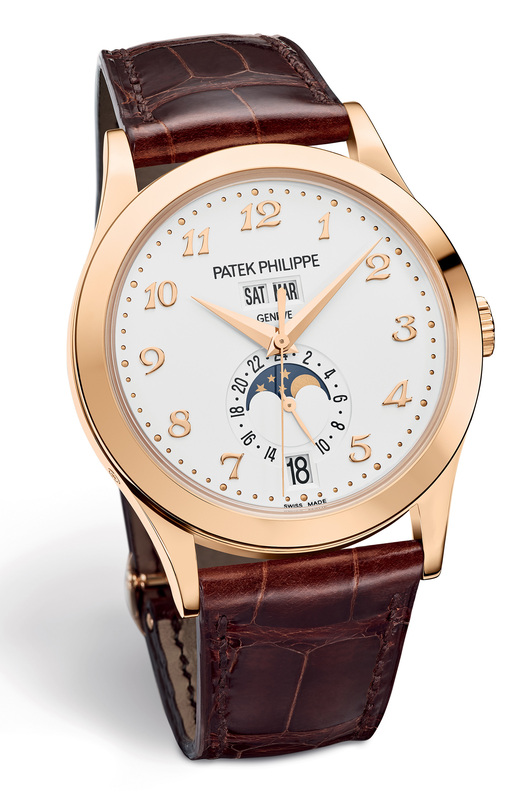 The Patek Philippe 5396 Annual Calendar watch was launched in 2006 and has unique double in-line aperture displays that reflect the style of the 1940s and 1950s. 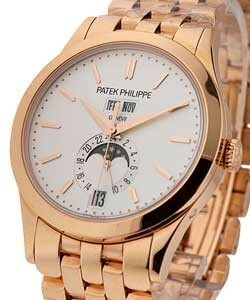 The Patek Philippe 5396G Annual Calendar is housed in a 38mm case and is available in both white gold and rose gold. 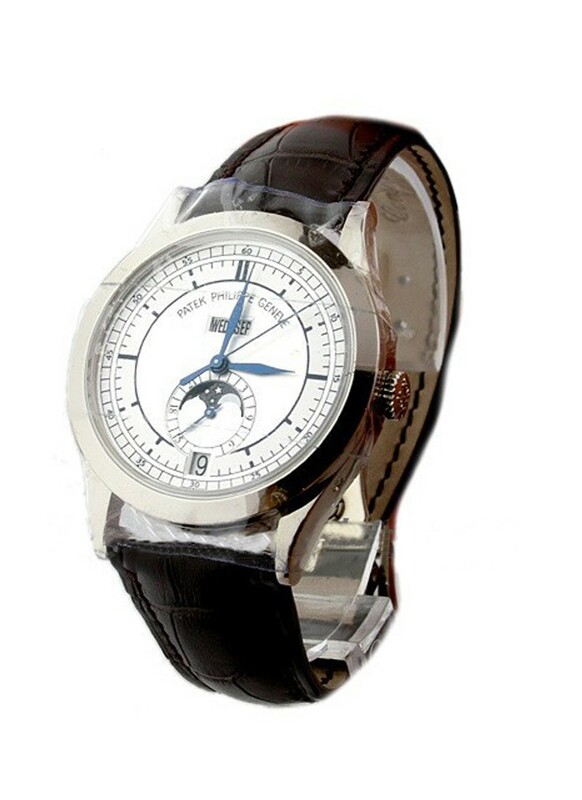 The watch comes on a brown crocodile strap and is water resistant to 30 meters. It displays the day/date/month, moon phases, am/pm indicator, hours, minutes and center seconds. 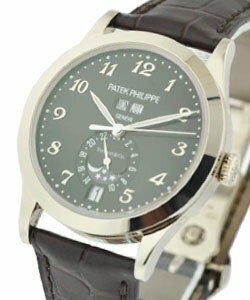 It features a beautiful 2-tone silvery gray dial and sapphire crystal display caseback.